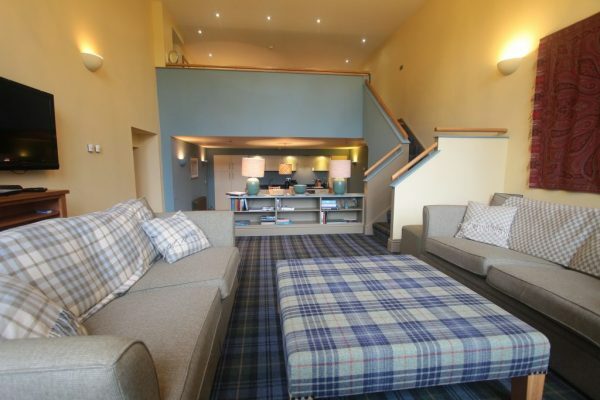 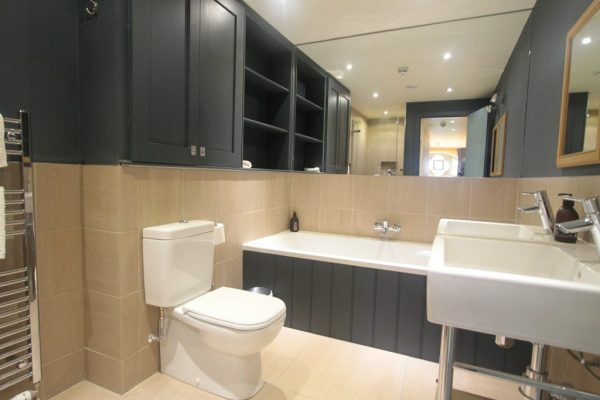 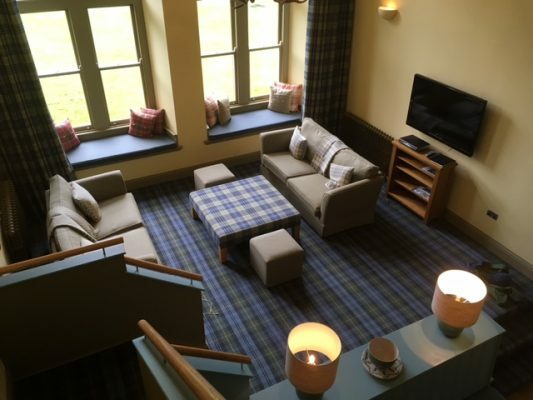 Relax in this luxurious and spacious ground floor, one bedroomed apartment in Fort Augustus. 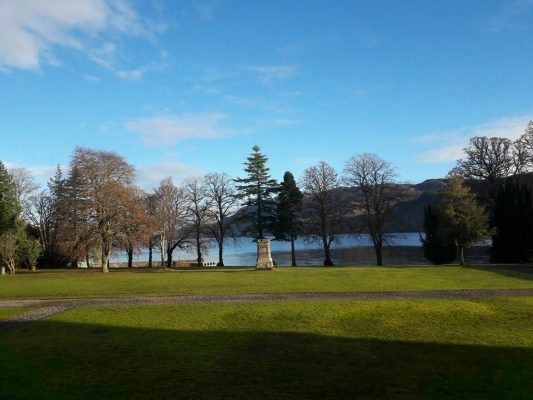 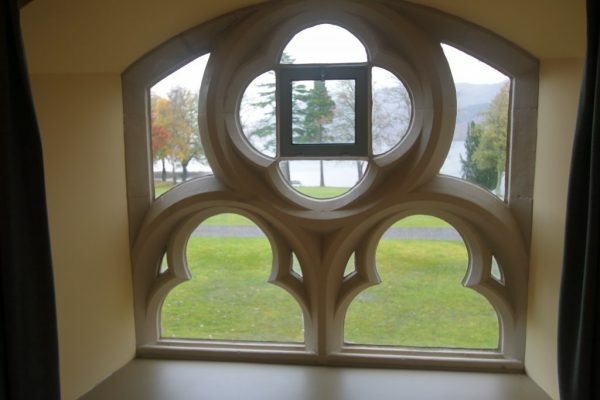 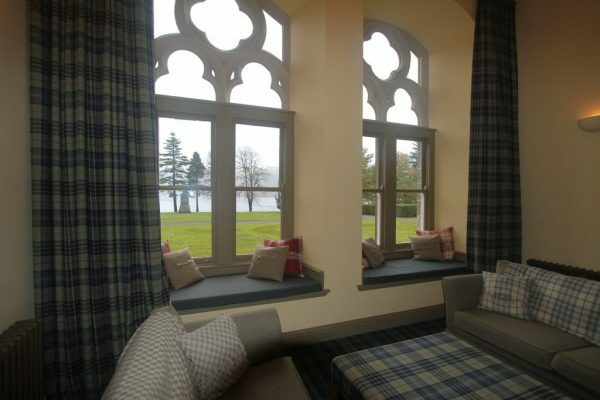 Quality 5 star accommodation with stunning views of Loch Ness. 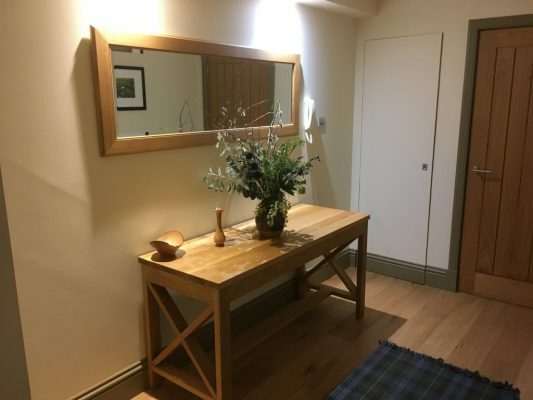 Spacious apartment that easily sleeps up to 3 guests with the addition of a sofa bed in it’s own ‘snug room’ and 2nd bathroom. 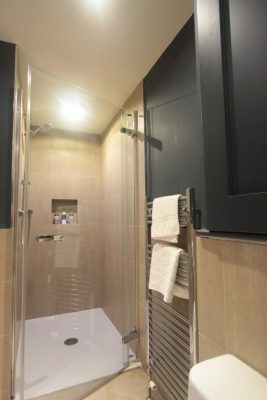 On entering this super apartment there is a very useful area for your outdoor clothes and footwear. 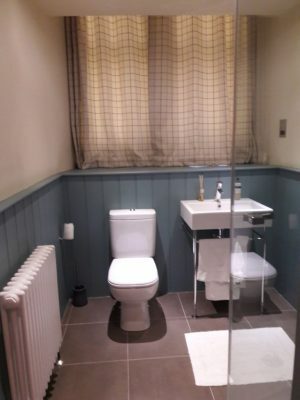 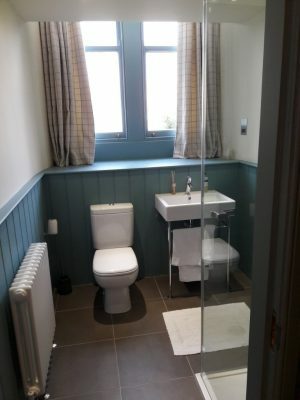 The 2nd bathroom has a spacious shower, toilet and wash basin. 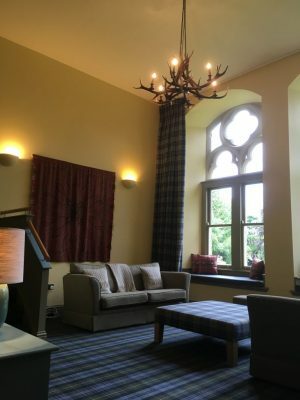 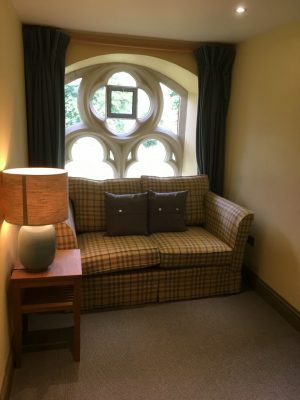 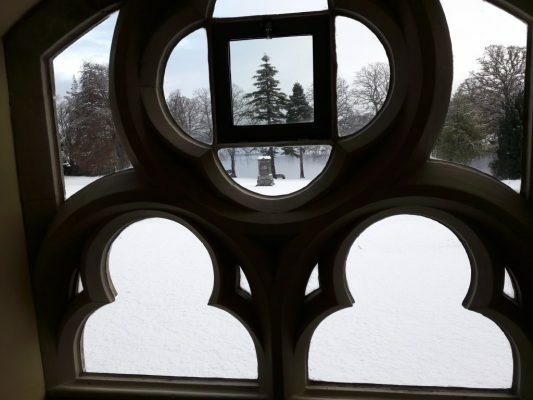 The stunning living room has a double height ceiling and is beautifully furnished in a traditionally Scottish style; relax on one of the two comfortable setee’s or sit on one of the two window seats and stare in awe through the 5 meter high gothic style windows at mysterious Loch Ness. 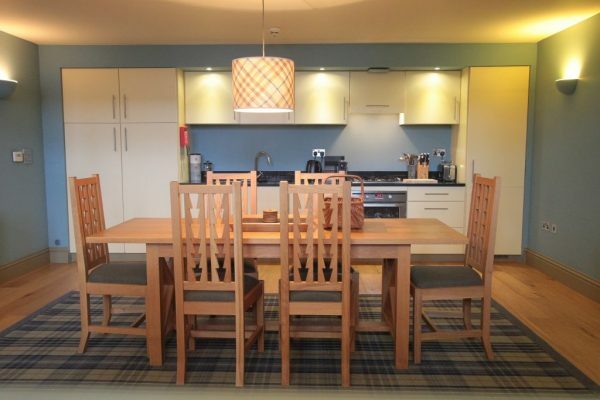 The open-plan kitchen/dining area is fully equipped with an Italian granite worktop and high quality fixtures and fittings. 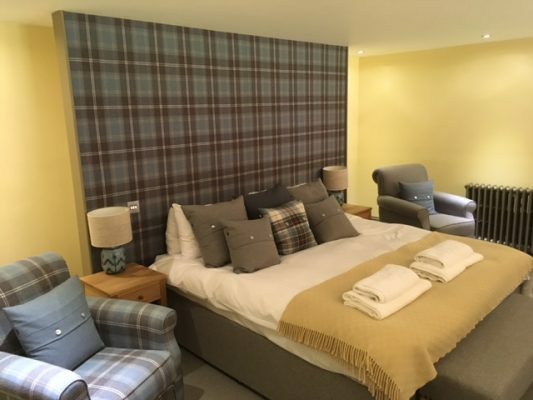 The very pretty bedroom (all fabrics and furnishings are from Anta Scotland) is situated on a mezzanine level and has a super-king bed, comfortable seating and views of Loch Ness. 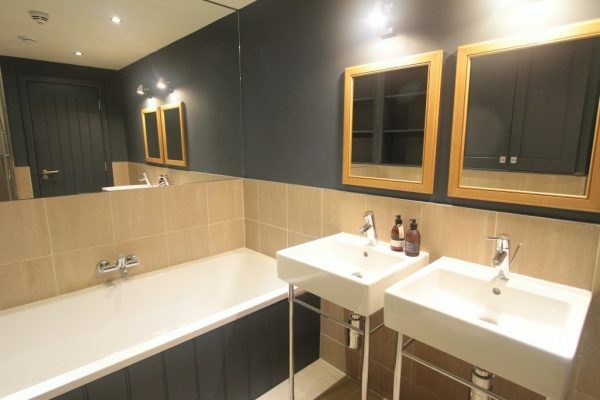 The lavish bathroom has both a powerful shower and a large bath tub, under floor heating and a heated towel rail. 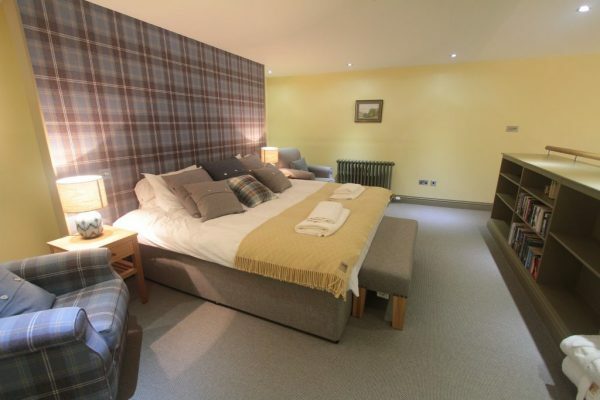 The adjoining dressing room has two internally lit double wardrobes. 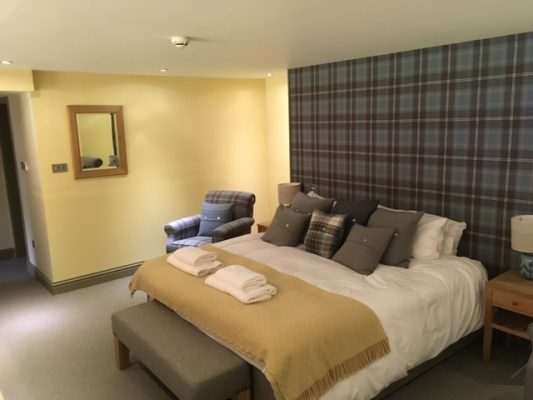 The ‘snug’ room is open, with a 2nd television and a double sofa that converts in to a sofa bed to sleep one. 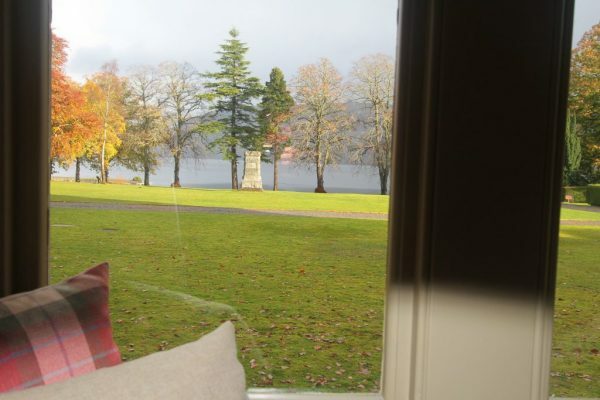 We look forward to giving you a warm welcome to this stunning property on the shore of South Loch Ness. 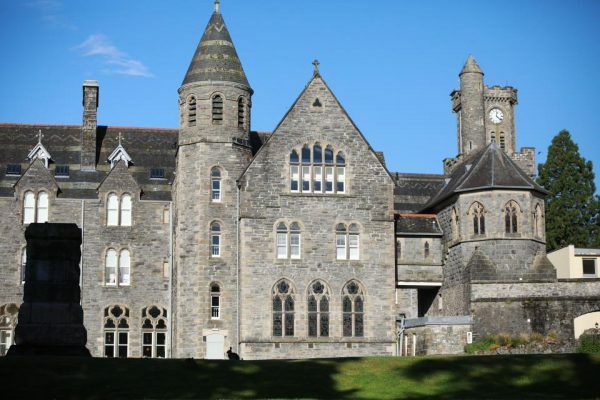 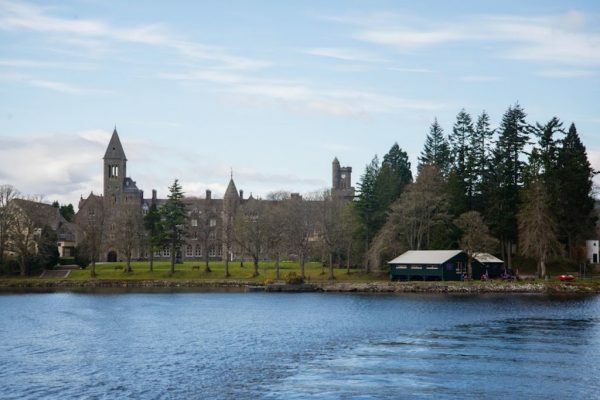 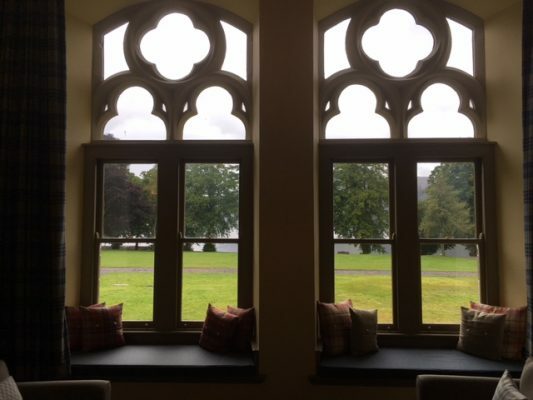 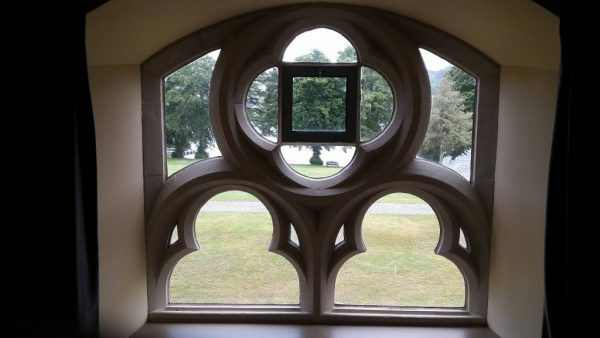 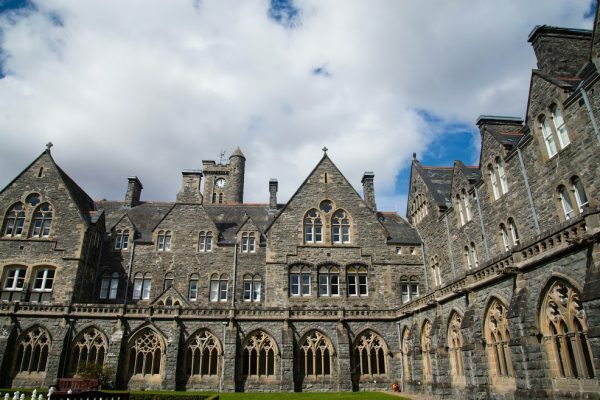 There is nothing not to like about staying in the Monastery in Fort Augustus. 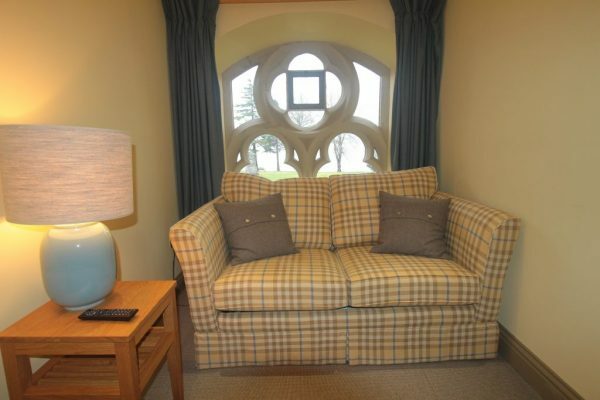 The location, ground amenities, ambiance and apartment were perfect for our family of 5. 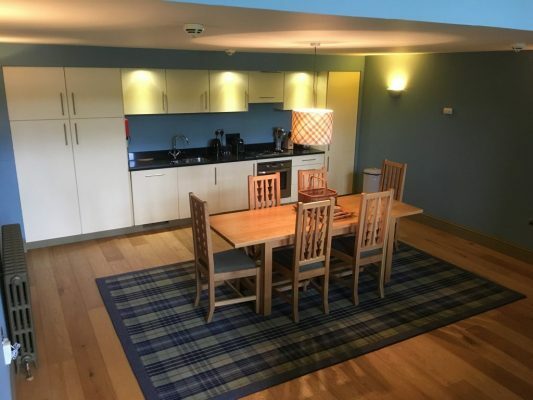 The apartment had everything we needed and was within close walking distance to pubs, small grocery, shops etc. 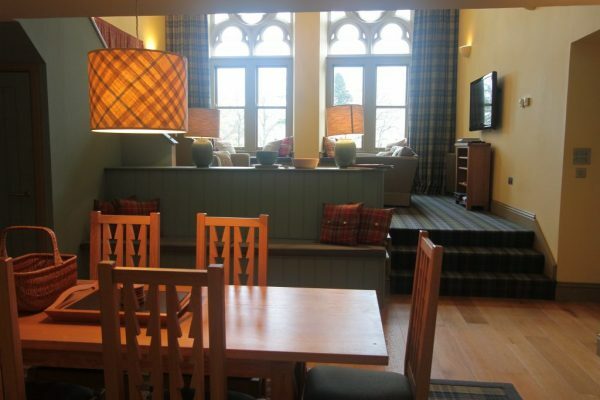 The staff were kind and helpful.